Caps go flying into the air. 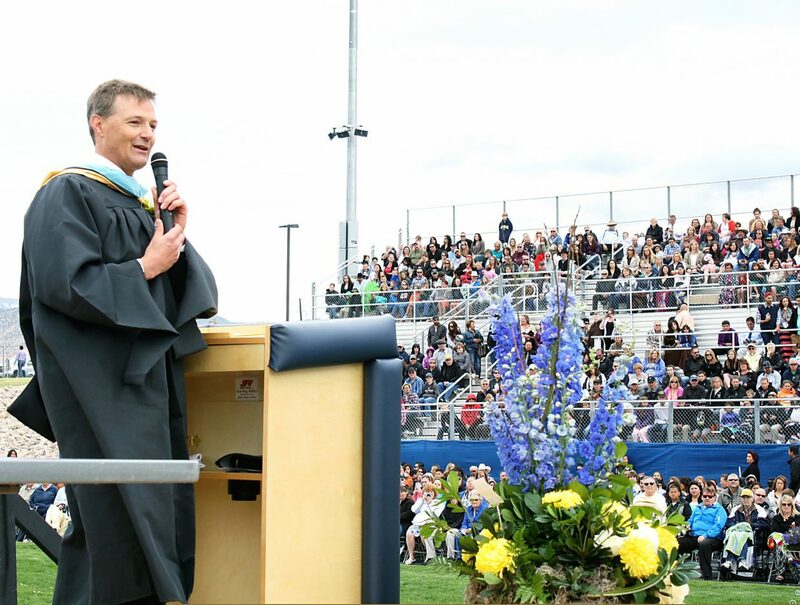 Rifle High School Principal Todd Ellis delivers the opening remarks at the 2015 graduation ceremony Saturday. Co-Valedictorian McKenna Smith walks to the podium to deliver her valedictorianâs address. 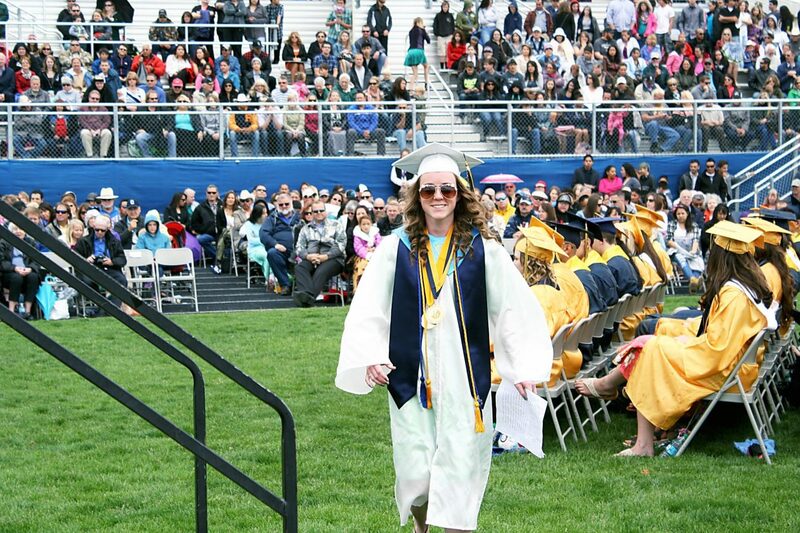 Co-Valedictorian Kelly Coombs walks toward the stage to deliver her valedictorianâs address. 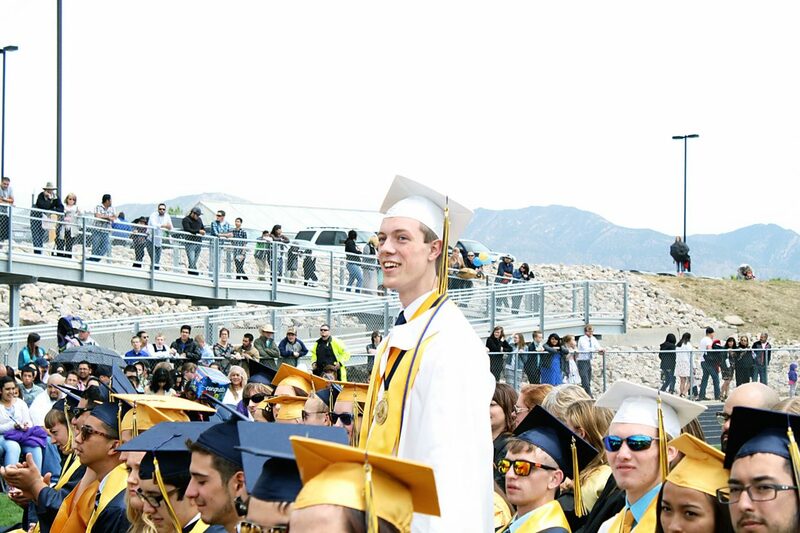 Salutatorian Austin Kennedy stands to be recognized at the Rifle High School 2015 Graduation Ceremony. 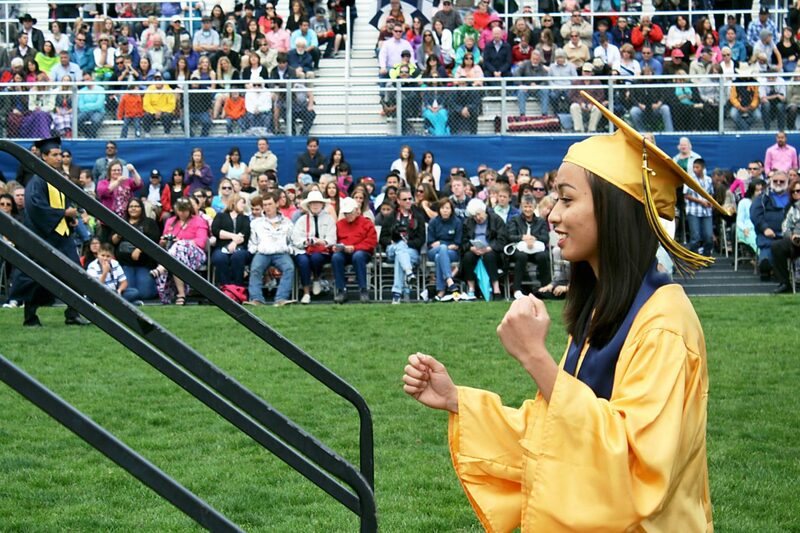 Naphawan Jamjaroenjit pumps her fist before receiving her diploma. Alex Gould gets a hug from Shirley Parks, Garfield Re-2 board of education member. 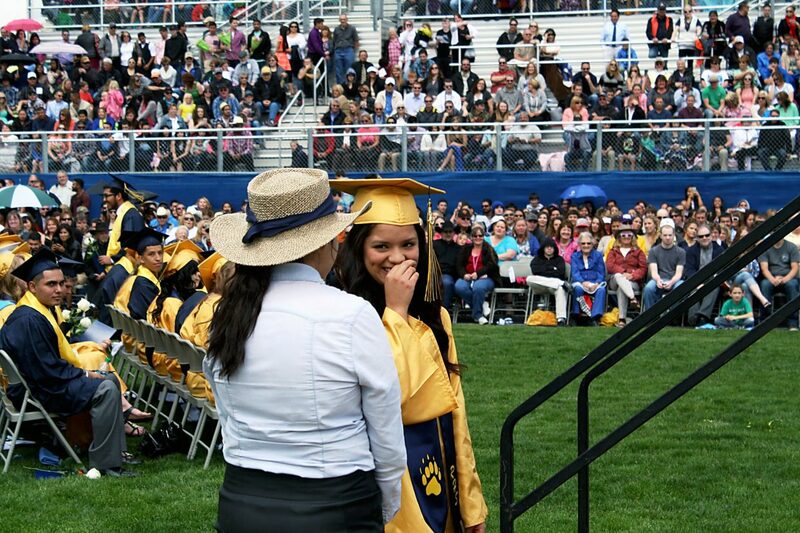 Veronica Santoyo holds back laughter before receiving her diploma. Teacher Kyle Mickelson delivers the commencement address. RIFLE — The idiom “a penny for your thoughts” is typically used to ask a quiet person what they are thinking. 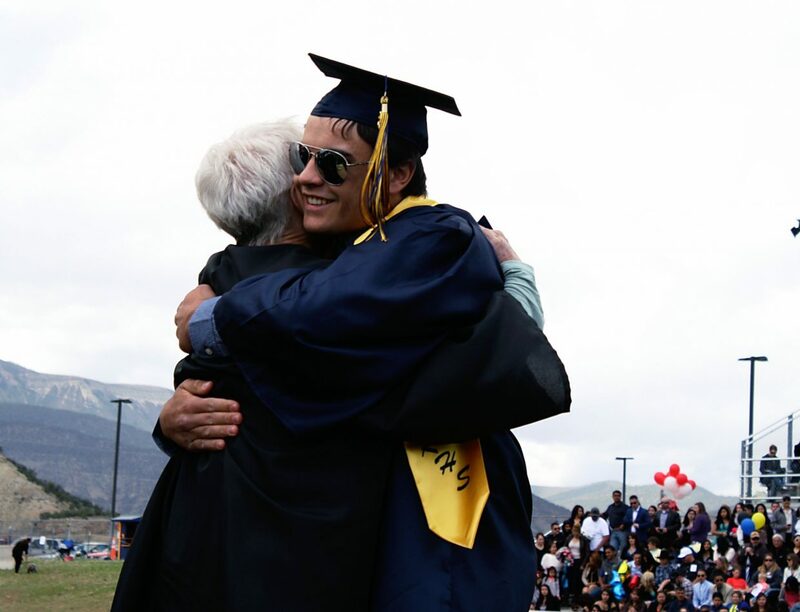 On Saturday, the 150 graduating seniors at Rifle High School offered both pennies and their thoughts, in a not-so-quiet fashion. 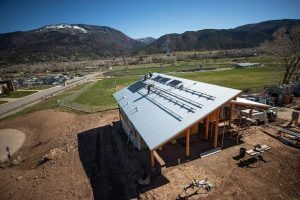 The pennies that day — the outgoing class always hands the principal something, making it an annual ceremonial shenanigan — were probably the closest thing the class had to a senior prank, which the 2015 seniors did not get to participate in. 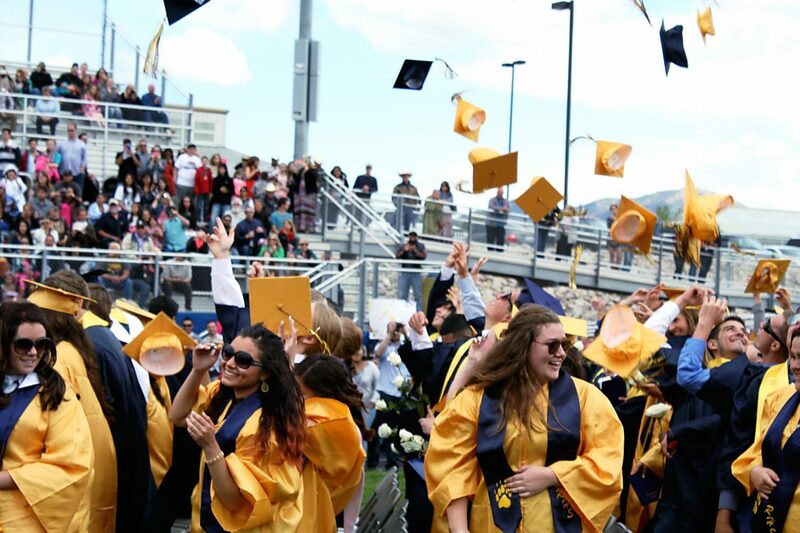 As Co-Valedictorian Kelly Coombs noted, the class lost their senior privileges at one point. 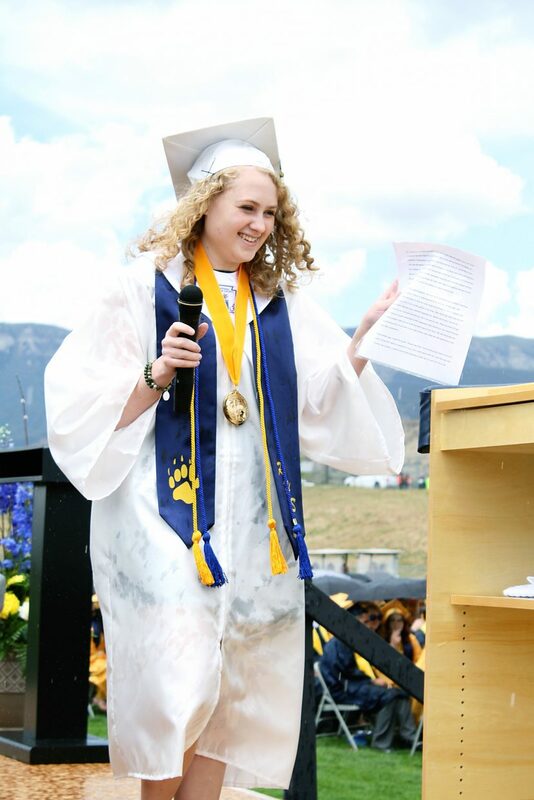 But rather than dwell on the negatives, Coombs and Co-Valedictorian McKenna Smith pointed to the class’s accomplishments in the classroom, the auditorium and on the field. Six students graduated with International Baccalaureate diplomas and more than 20 students graduated as members of the National Honors Society. Nearly another 20 students earned an athletic letter each year they were at the high school. 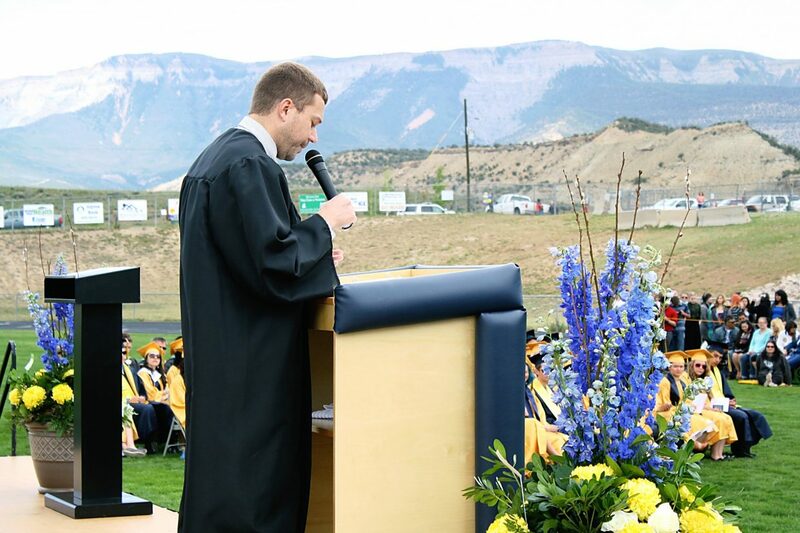 With all the accolades and accomplishments in the past four years at Rifle High, Smith and Coombs, in separate speeches, encouraged their former classmates not to fear failure in their future endeavors. “Make each day count, ignore the negativity and don’t be afraid to dream, even if it scares you,” Smith said. Many in the class of 2015 will move on to continue their education — the class received a combined $525,214 in first-year scholarship money. 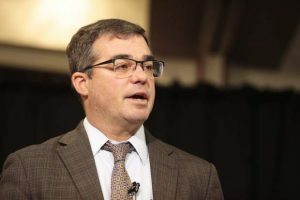 Others will enter the work force, but regardless of what the future holds, the co-valedictorians asked the graduating class to strive to be the best — a message that commencement speaker Kyle Mickelson also shared. 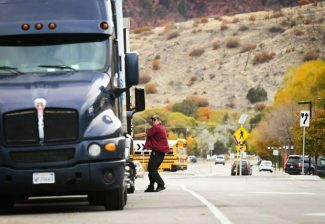 Some of those students moving on from Rifle High, he said, have already overcome personal tragedies. Mickelson knows something about personal tragedy. Teacher Dave Sanders saved Mickelson’s life during the Columbine High School shooting. Sanders’ selflessness was the reason Mickelson said he entered the teaching profession.